Codema celebrates this occasion with the Codema Experience day starting off at the July 13th! This time Codema thinks differently, sensational, open, personal and without a CV! For everyone who is ambitious and wants to be part of an internationally growing company in the horticulture sector. At the 13th of July Codema will organise a special recruitment experience day. On this day, you will not experience a traditional job interview. 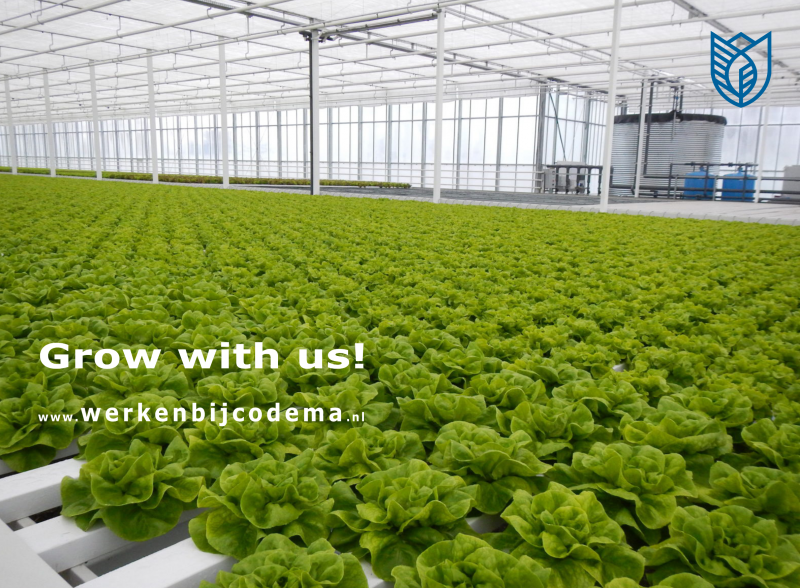 But instead you will literally experience how it is to work in the horticulture sector and at Codema. At www.werkenbijcodema.nl you can find various job vacancies and you can sign in for our experience day. The horticulture sector is growing faster than before. But a growing sector with more work, demands also more dedicated and specialised employees. Therefore, Codema Academy number one priority is to recruit talented people, share knowledge and start today with the future of tomorrow.